This price of HP G Series 250 G6 Notebook Core i5 (7th Gen) - 4GB RAM - 1TB HDD - 39.62cm(15.6) - Windows 10 Home - Intel HD Graphics 620 - black is valid in Mumbai, Bangalore, Delhi, Chennai, Pune, Hyderabad, Ahmedabad, Kolkata and all the other major cities in India. 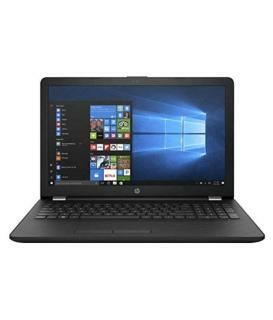 You can buy HP G Series 250 G6 Notebook Core i5 (7th Gen) - 4GB RAM - 1TB HDD - 39.62cm(15.6) - Windows 10 Home - Intel HD Graphics 620 - black at Snapdeal. BuyingIQ is not liable for the service provided by any of these store(s).